If you happen to operate a vehicle-dependent business, add vehicle maintenance and saving for new vehicles to that to-do list. Good thing there’s a credit card out there that works for you without requiring a lot of thought and planning on your part. 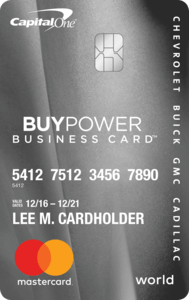 The GM BuyPower Business Card from Capital One® - Get The Card That Helps You Get The Car offers cardholders, particularly those with vehicle-dependent businesses, the chance to accumulate rewards toward the purchase or lease of a new Chevrolet, Buick, GMC or Cadillac all while making everyday business purchases. Cardholders earn 5 percent back on purchases of GM parts, accessories and service at authorized GM dealers, so business owners who are maintaining a fleet or even just a car or two for business purposes could rack up some serious points. Earn 3 percent on purchases at gas stations, restaurants and office supply stores. Earn 1 percent on all other purchases. There are no limits on what you can earn and earnings don’t expire. Take advantage of 0 percent APR on purchases during the first 12 months. When you've accumulated your points and want to cash them in, wait for a great sale at your local car dealership to make your money go even further – points are combinable with other discounts and sale prices. This card rewards you for maintaining your business' current fleet of vehicles and helps you offset the cost of replacing those vehicles when the time comes. Earn 5 percent back on qualifying vehicle maintenance and 3 percent back on your gas, restaurant and office supply store purchases. There's no annual fee, no cap on the amount of rewards you can earn and no expiration date on those rewards. The GM BuyPower Business Card from Capital One® doesn't offer a ton of flexibility -- unless you're planning to buy or lease a car, the earned points won't help you. If you operate a vehicle-dependent business you are well aware that your vehicle costs make up a significant portion of your business expenses. The GM BuyPower Business Card from Capital One® - Get The Card That Helps You Get The Car not only allows you to earn points as you maintain and equip the vehicles you own right now, it helps offset your future vehicle expenses with points that can be applied toward the purchase or lease of a new vehicle down the road. You’ll earn the best return – 5 percent – on purchases of GM parts, accessories and service at authorized GM dealers, but the 3 percent back on purchases at gas stations, restaurants and office supply stores isn’t too shabby either. All your other purchases accumulate points at the 1-percent-back level. With no annual fee, the GM BuyPower Business Card from Capital One® - Get The Card That Helps You Get The Car is an easy card to have in your business’ wallet. Plus, if your business happens to take you overseas from time to time, you'll be glad to know that there are no foreign transaction fees with the GM BuyPower Business Card. And, since it could be a number of years before you need to cash in points, it’s a definite plus that your points don’t expire and there's no limit to the number of points you can earn. When you do get around to redeeming those points, they are combinable with other vehicle offers and can be applied to your down payment, to bring down your monthly payments or to pay for upgrades like leather seats or a premium sound system. You can boost your points earning even more by equipping your employees with their own GM BuyPower Business Card from Capital One® - Get The Card That Helps You Get The Car. 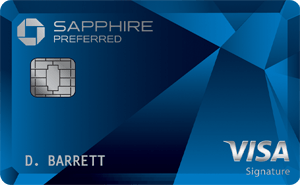 Extra cards are free and your account will accumulate points as your employees use their cards. You can even set spending limits on those employee cards through the online account management system. Then, when it’s time to redeem your points for a new vehicle, don’t fret about adding effort and strife to the car buying process; redeeming the points happens quickly and easily at the dealership as part of the normal car buying process. Just let your salesperson know you have GM BuyPower Business Card points to redeem and he or she will take care of deducting the points from your account and applying them to your transaction. Sure, there’s a great opportunity to rack up points in some business-friendly categories with this card, but if you don’t foresee needing a new car at some point, this probably isn’t the card for you. Points are not redeemable for cash or anything other than being applied to the purchase or lease of a qualifying GM vehicle. In other words, there’s very little flexibility with GM BuyPower Business Card from Capital One rewards. Furthermore, the card’s point-earning categories are geared toward businesses with heavy vehicle use – top points for vehicle maintenance – so if you aren’t someone who maintains vehicles as part of your business, you could likely collect more rewards with another business card. 5% Earnings on purchases of GM parts, accessories and service at authorized GM dealers. Neither the GM BuyPower Business Card from Capital One® nor the SimplyCash® Plus Business Credit Card from American Express offers the option to earn a check or deposit directly into an account. 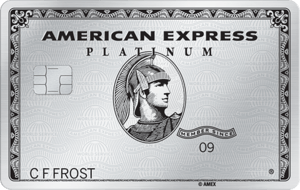 The SimplyCash® Plus Business Credit Card from American Express, however, does allow you the immediate gratification of automatically applying your earned cash back each month to your statement as a credit (Terms apply. See Rates and Fees). As a special offer, it's also giving cardholders the chance to rake in $500 in statement credits. Spending $5,000 within the first six months of card membership, will earn you one $250 statement credit. Churning out an additional $10,000 in purchases within the first year of membership will get you one more $250 statement credit. The SimplyCash® Plus Business Credit Card from American Express offers 5 percent cash back on wireless telephone services from U.S. providers and U.S. office supply store purchases, which could make it a better fit than the GM BuyPower Business Card from Capital One® - Get The Card That Helps You Get The Car for business owners who don’t have vehicle-dependent businesses. With the SimplyCash® Plus Business Credit Card from American Express, though, you’ll have to choose in which category you want to earn 3 percent back; the GM BuyPower Business Card offers a blanket 3 percent back at gas stations, restaurants and office supply stores, making it possibly a better option for business owners who utilize those categories often and could foresee using the points toward the purchase or lease of a vehicle in the future. The U.S. Bank Business Edge™ Cash Rewards World Elite™ MasterCard® is an option for cardholders who want some flexibility when it comes to redeeming their cash back as opposed to being constrained to the purchase or lease of a new car with the GM BuyPower Business Card from Capital One® - Get The Card That Helps You Get The Car. With the U.S. Bank Business Edge™ Cash Rewards World Elite™ MasterCard®, you can redeem your cash back in $25 increments as statement credit, a U.S. Bank Rewards Visa Card or a deposit directly into a U.S. Bank account. The reward earning levels of the U.S. Bank Business Edge™ Cash Rewards World Elite™ MasterCard® cap out at 3 percent, however, and that’s for gas, cellular and office supply store purchases only. All your other purchases earn just 1 percent back. Depending on where you make the bulk of your business purchases, and where you’d like to redeem your rewards, the GM BuyPower Business Card could be a better option. The Ink Business Cash℠ Credit Card is more of a traditional cash-back credit card than the GM BuyPower Business Card from Capital One® - Get The Card That Helps You Get The Car, meaning that cardholders can earn statement credits or deposits directly into eligible accounts. The Ink Business Cash℠ Credit Card also offers the flexibility to redeem points for gift cards or travel purchases, making it a better option for business owners who want some options when it comes to reward redemptions. With the Ink Business Cash℠ Credit Card, however, you only earn 2 percent back on gas station and restaurant purchases (up to $25,000 spent each account anniversary year) as compared to the 3 percent you earn with the GM BuyPower Business Card. If those are major spending categories for you, you might benefit more from the GM BuyPower Business Card from Capital One®, assuming that you will use the points toward the purchase or lease of a car some day. Who Should Get GM BuyPower Business Card from Capital One®? The GM BuyPower Business Card from Capital One® is specially designed to most benefit cardholders with vehicle-dependent businesses, especially if those businesses require a fleet of cars. If obtaining and maintaining vehicles make up a significant portion of your business costs, the GM BuyPower Business Card from Capital One® - Get The Card That Helps You Get The Car is one you should probably consider.